There’s always a sense of excitement when you can get your hands on something exclusive before anyone else in the world, and with this new SK-II innovation, you can. Renowned for its best-selling Facial Treatment Essence and technology breakthroughs, the SK-II GenOptics Spot Pen is the Japanese skincare brand’s latest cutting-edge product designed to reduce spots on face. This vanity essential makes its global debut in Singapore at The Shilla Duty Free in Changi Airport from 11 to 28 February 2019 before it launches worldwide. Should you be travelling during that period, you can be the first in the world to get your hands on this revolutionary product. If that doesn’t sound exciting to a skincare fanatic, we don’t know what does. 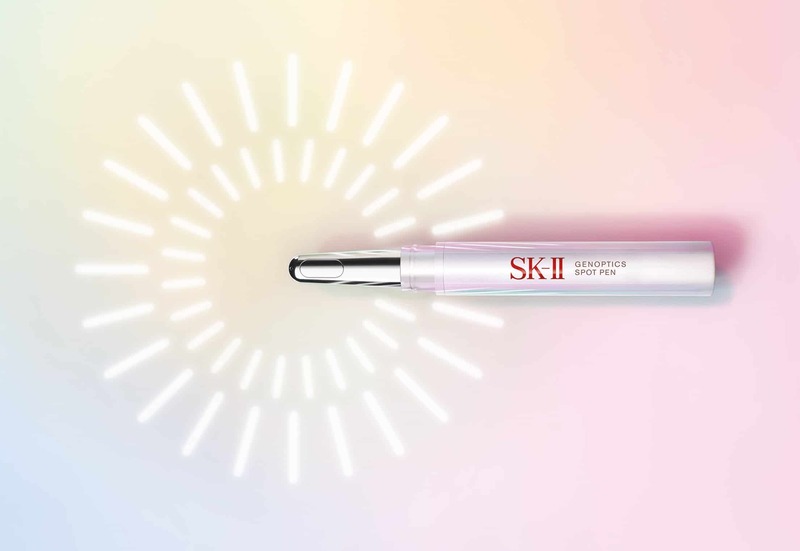 The SK-II GenOptics Spot Pen incorporates Pitera, the signature ingredient of the SK-II range, and a powerhouse formula known as the WH Smart Cocktail fortified with ingredients that help dramatically reduce spots caused by sun damage, scarring, ageing and more. This potent cocktail is enough to marvel at, but the GenOptics Spot Pen goes the extra mile to deliver results by being fitted with a magnetic applicator that boosts the absorption of serum three times more than if you’d use your finger to apply it, ensuring that your spots fade faster than ever. For those with pressing pigmentation issues, this product is all you’ve ever wanted. Mark down the dates. If you’re in Changi Airport and near The Shilla Duty Free, put the new SK-II GenOptics Spot Pen at the top of your shopping list. Don’t forget to flaunt it on Instagram — you’ll be amongst the first in the world to own this exclusive new innovation! The GenOptics Spot Pen will be available at all other travel retail counters from 1st March.